Today the rain stopped for a minute, so before they started tearing each other to pieces (their energy levels tend to peak around 10am), I planned to take the kids to the park (with my pop-up tent). 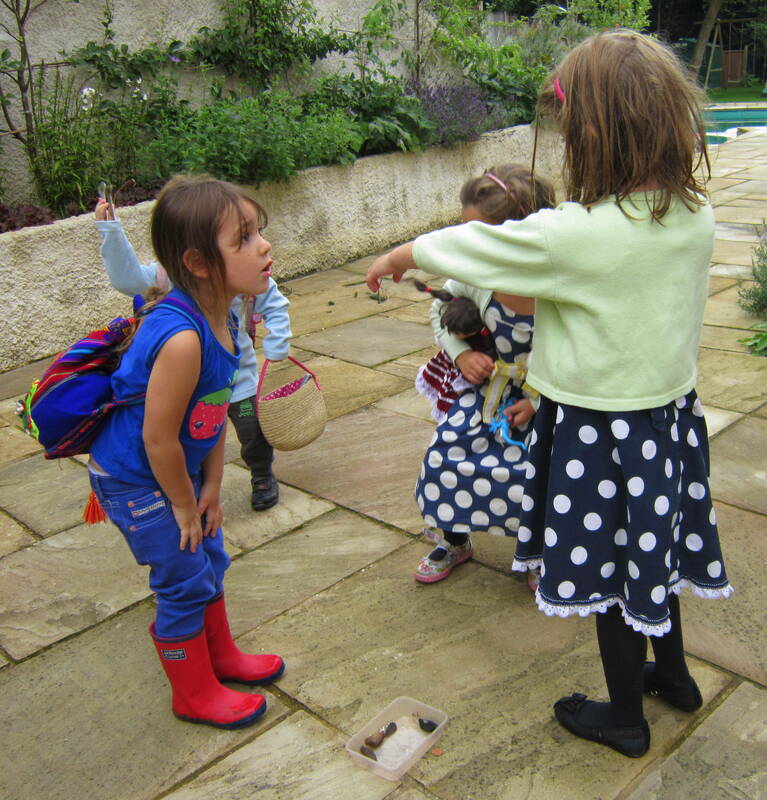 But they were so excited to have their little cousin round to play, that they all put on backpacks full of teddies and decided to go on a slug hunting expedition in the garden. 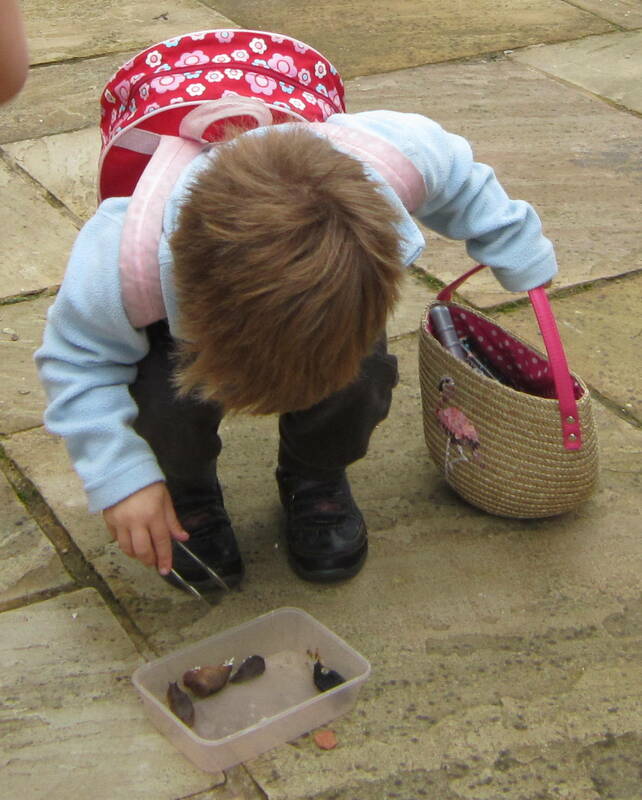 This was apparently wildly exciting, as slugs are a little like SCARY MONSTERS and might CHASE them into the house!!! This turned into a real winner of a game. Not only did it have that enticing element of hair-raising repulsion, but all that tong work was excellent for their fine motor skills and coordination. And of course, counting. 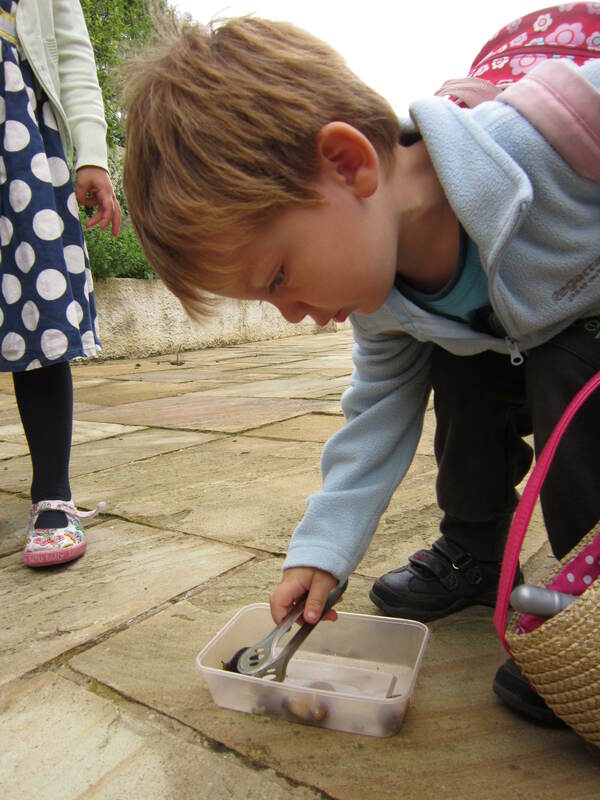 It also had elements of a classic Montessori activity to it, transferring items from one place to another using tongs. Turn-taking also came into it, as I didn’t want to have to scrub slime off more than one pair of tongs. All in all, most educational. They stuck with it for at least half an hour. A short while later I caught the eldest, who’s 6, climbing onto the worktop and getting some bread out. She was shouting excitedly about making a slug sandwich. 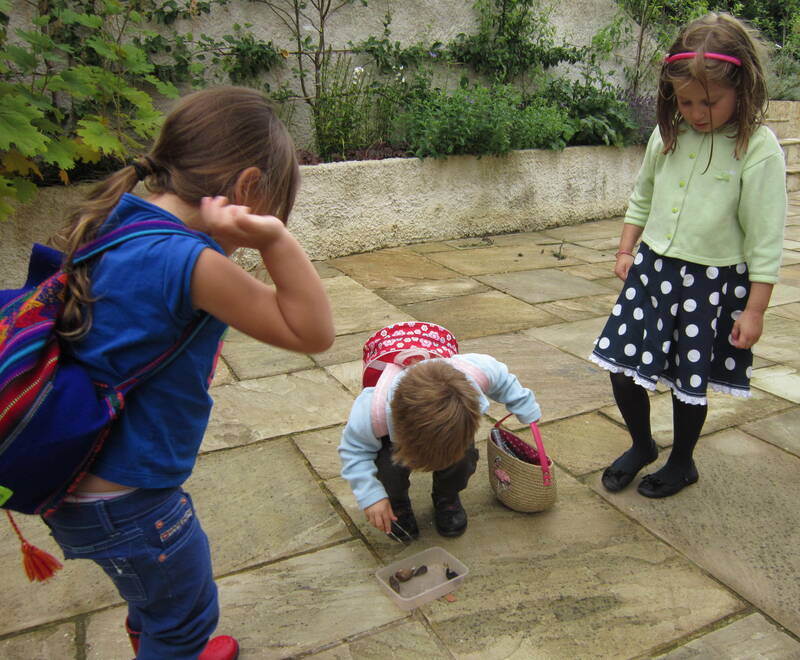 After investigation, it transpired that my husband (doing the gardening) had caught onto their game and playfully told them that he eats slugs and would love some in a sandwich. 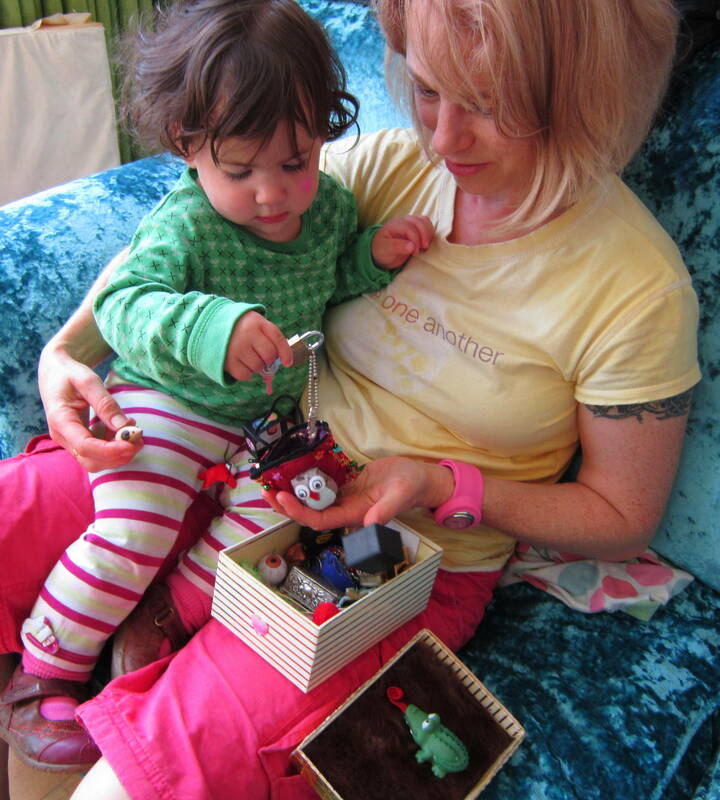 She took it completely literally and was really keen to see him eat them. Tears of disappointment followed when I told her he was only joking and it would be a waste of bread. 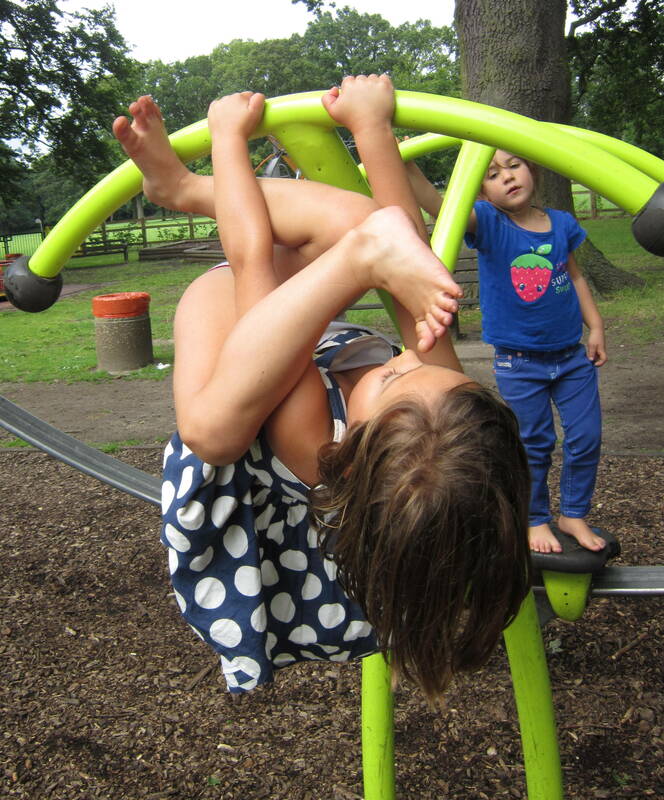 We did end up in the park eventually……doing Olympic medal gymnastic knotwork.